Canada Nova Scotia Nominee Program – Canada is world’s most ethnically diverse as well as the multicultural nation; it is a product of large scale immigration from varied nations having a population about 35 million as of 2015. Do you wish to Migrate to Canada, which is also referred as maple leaf nation, then talk to your friends or the relatives who have already migrated to this nation? In case if you do not have friends or relatives then do not worry contact best visa consultants near to your area. They would provide you necessary guidance. Canada skilled immigration chose skilled immigrants as permanent residents based on their to work and settle in this nation and take part in our economy. We find, there is a new system that would help in manage as to how people have skilled work experience apply to immigrate to Canada. It is called as Express Entry. If you are one of the top candidates, then they would be invited to apply for a permanent resident of Canada. The Canada-Nova Scotia Nominee Program does reserve the right to consider only a certain type of jobs as well as occupations for a nomination; it depends on the current economic situation of Nova Scotia labour market needs. • They should demonstrate that they would provide additional support to assist the newcomers with their settlement needs. 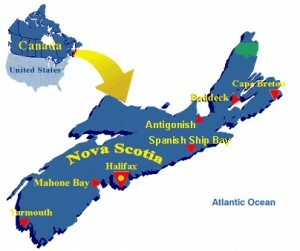 The individuals while submitting the application to the NSNP(Nova Scotia Nominee program), the skilled workers should have full time, a permanent job from the employer belonging to Nova Scotia. We find provincial priorities might change as skill shortages are met by the permanent residents or Canadian citizens. Why Canada skilled Immigration Chose Skilled Immigrants as permanent resident? I would like to know more details and process about Canada visa. For Canada Immigration what are the necessary documents do I need to carry with me? i’am 39 yrs and i like to work and settle under canada nova scotia nominee program why can you help me above .thank for yours answer. what is procedure to apply for canda? How do I get a multi-entry visa? In upcoming 21st Draw – Will there be drop in score?